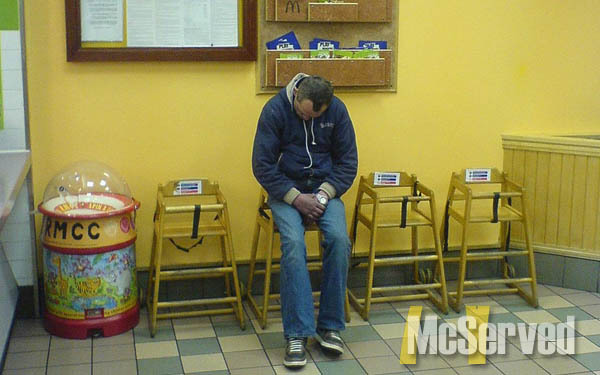 McSLEEPS: SOMETIMES THEY SNEAK UP ON YOU | McServed: Getting Served McDonalds Fast Food Funnies, Laughs and More! LOL! A little snoozer before the potty break? Did he just randomly walk in and fall asleep? magical spells? I wonder if this guy got pick pocketed.